I love how Oak Meadow incorporates history and language arts. 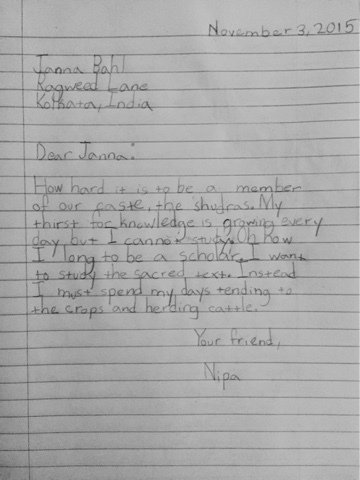 That and the fact that there are SO many choices for assignments, make my life much easier as a homeschooling parent. In the last few weeks A studied the Ancient Israelites as well as Ancient Indian civilization. Both are such fascinating cultures to focus on. 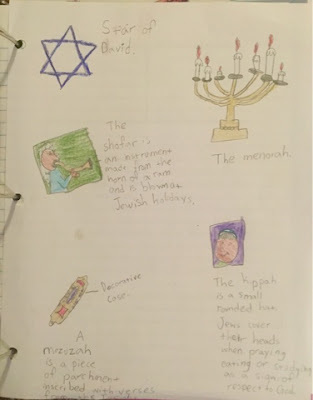 A spent two weeks learning about the Ancient Israelites, their stories, and their symbols. She made this page to add to her notebook after researching many of the symbols that have carried over into today's Jewish customs. 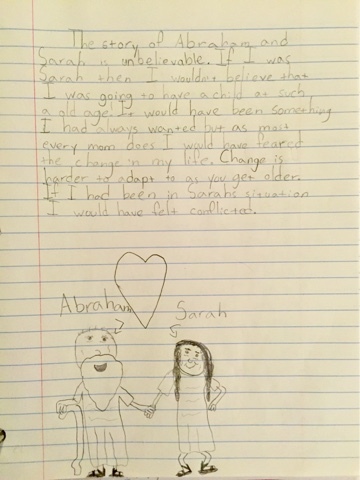 She had several writing assignments which included an interview with Noah as well as a short paragraph on how she would feel if she were Sarah after studying the story of Sarah and Abraham. 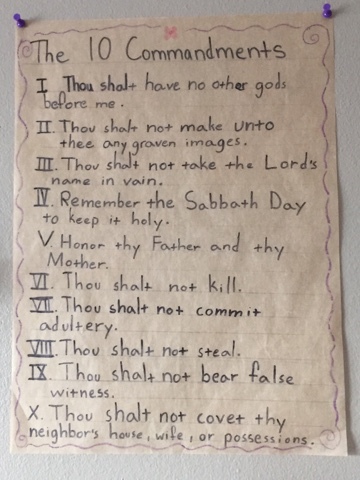 Of course we went over the ten commandments again. She copied them down on parchment paper and they are now hanging in our school room. Of course, she never stops learning. 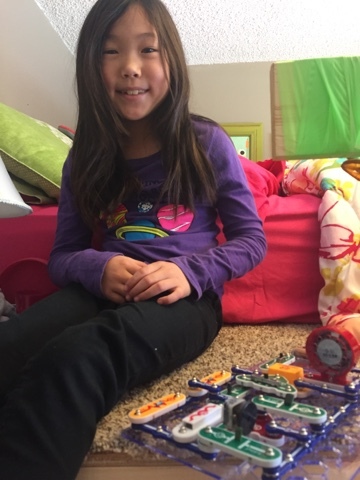 She spent this past Saturday hanging out in her room playing with her snap circuit kit away from the grasping hands of her little brother. She came out with a big smile on her face! 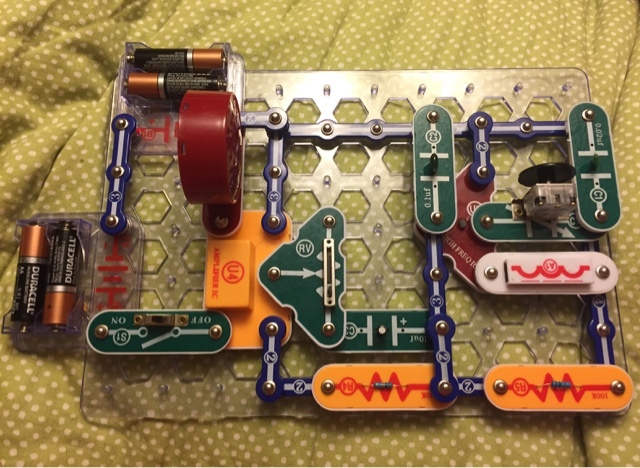 She had built a working AM radio and spent the rest of the weekend listening to the radio while playing in her room! I love her passion and enthusiasm for everything she does!